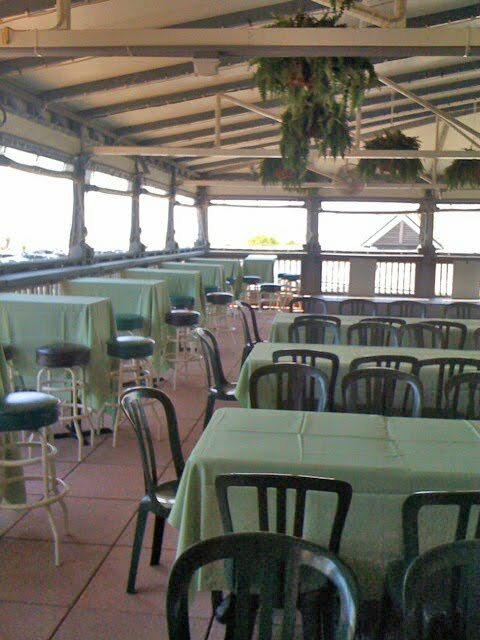 Our friends at Sea Gulls' Nest Weddings, buy our bistro chair covers, to cover their outdoor black plastic chairs. This gives their outdoor weddings a more beautiful look, because the chair slip covers match their linens. However, although the chairs and tables are covered, they still had black padded bar stools that were in desperate need of beautifying. We worked with Steve at Sea Gull's Nest to create a fabric bar stool cover to use at events. We used the same fabric as his chair covers, and table linens, and made a perfect fit for a 15” padded bar stool. These bar stool covers are also reversible, which allows him to use them a few times before washing. This is obviously a big benefit to any venue with more than 1 event planned per weekend. We used our Ivory Premier linen for the stool covers, which is 100% polyester, but because it is an oxford weave, it has a crispness to it like cotton. However, unlike cotton, it has all the qualities of polyester – making it easy to wash, dry, and there is never any ironing needed. These covers will fit any padded bar stools. Our minimum order is 12.